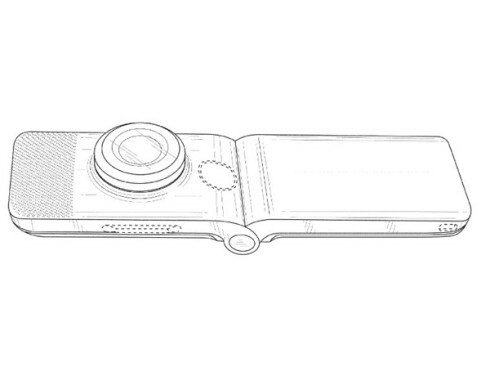 I can’t exactly recall any big company launching a big cameraphone over the past year and half, maybe except for the ASUS ZenFone Zoom. Now there’s hope, if not for a new Samsung K Zoom, then for a clamshell with a big camera like the one below. 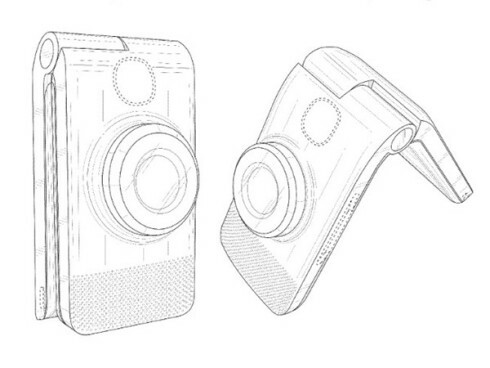 These pictures are straight out of a Google patent, for a folding handheld camera design. 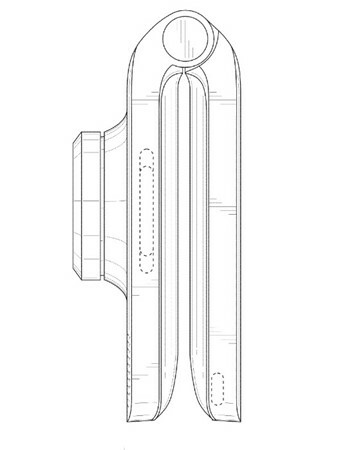 The patent was filed in June 2014 and approved a few days ago. 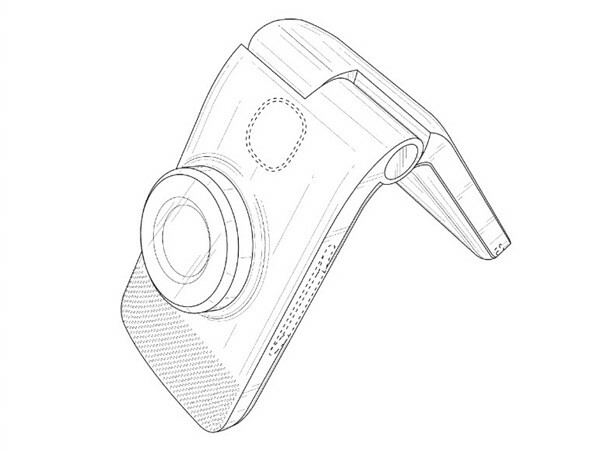 It was issued by the US Patent and Trademark Office and details a folding cameraphone that has a hinge in the middle, typical for a clamshell unit. 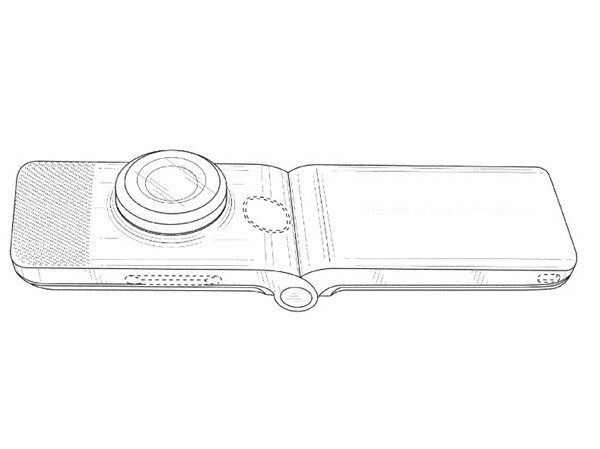 The camera module is quite big, that’s why we call this a camera-phone.